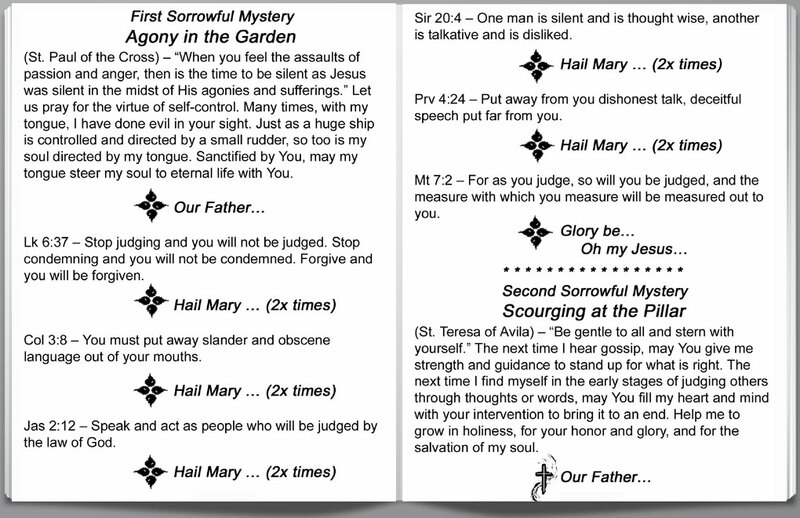 Complete Set of All Four Scriptural Rosary Booklets. Each booklet covers a different theme and meditations, using scripture text from the Old and New Testament, saint quotes and meditative prayer. Each booklet includes all 20 Mysteries. Easy Reading - Guaranteed to be used over and over again. 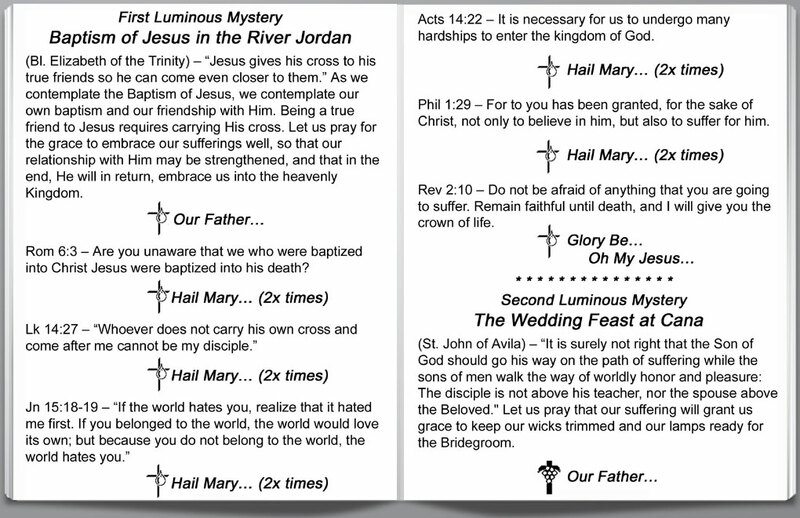 Each booklet includes saint quotes, Bible quotes and reflective prayer. Sturdy paperback & Attractive cover. 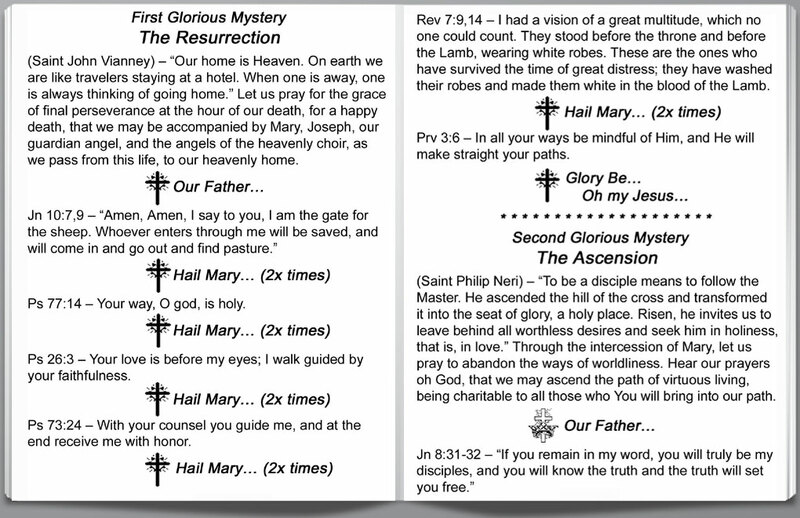 4.25" x 5.5" - Pocket Size (for your purse, your nightstand, glove box or back pocket). Rosary Books is an online store, selling a highly acclaimed rosary meditation book, a variety of scriptural rosary booklets (with different themes), and religious art; all of which have been recently released. All writings in the meditation book and the booklets were written and composed before the Blessed Sacrament.